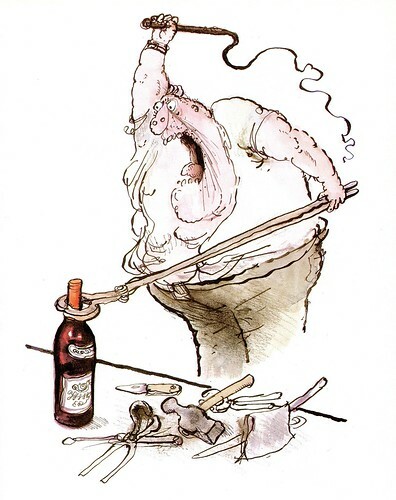 "Full bodied, with great character"
"Should remain in cellar for two or three years"
Scans of Searle's trademark scratchy caricatures, satirising the jargon of the would-be wine connoisseur. 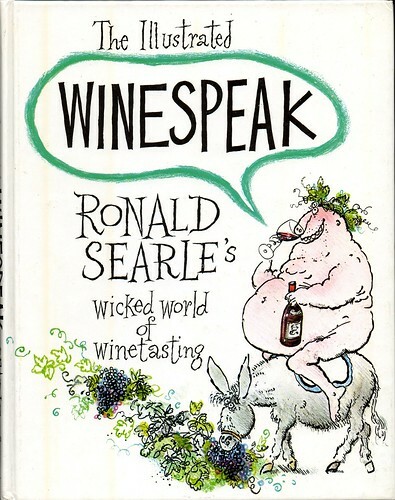 They first appeared in 1983 in 'The Illustrated Winespeak, Ronald Searle’s Wicked World of Winetasting'. 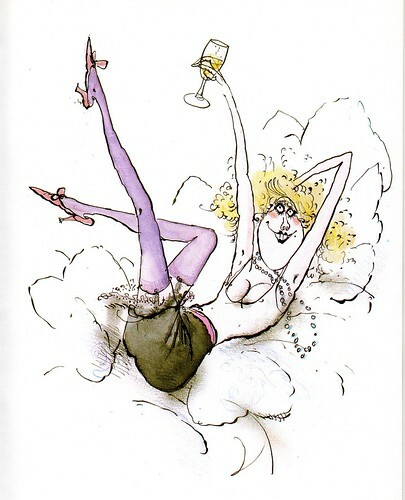 Update: Audra, from the Vespiary, scanned and posted a wonderful selection of Searle illustrations from 'Slightly foxed but still desirable - Ronald Searle's Wicked World of Book Collecting' to Flickr. 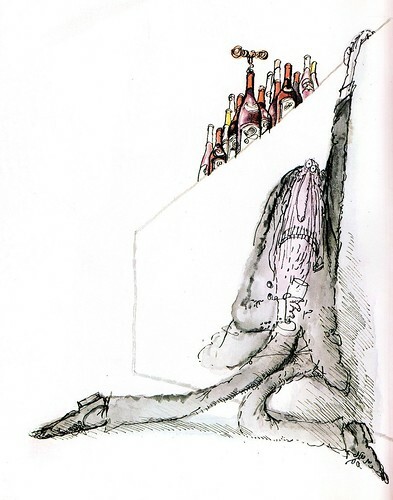 Update 2: More Searle illustration goodness from JRSM at the Caustic Cover Critic. 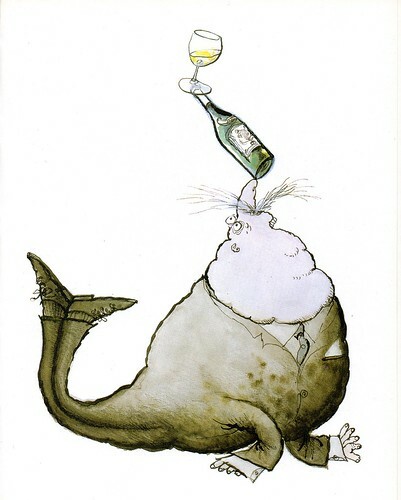 Searle is always a delight! I want to get this as a gift for my parents now. 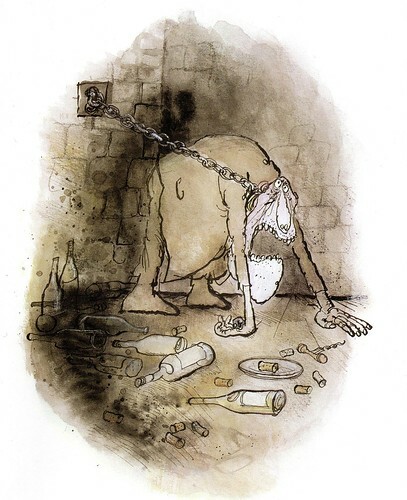 I love his use of color in these drawings. His other work about book collecting is fun, too. 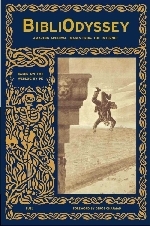 I wrote about it over at The Vespiary. 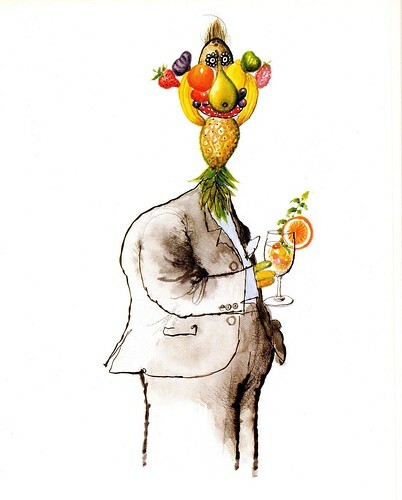 Searle's art had a great influence on me. 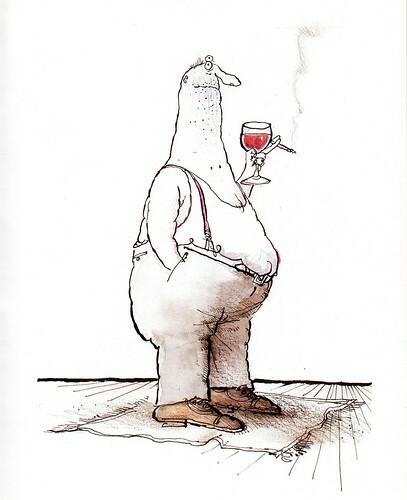 The "unpretentious" one is my favorite [that would describe my winetasting style]...these are hilarious, Thanks! Thanks Matt, I'm making a note in my calendar to tweet about this exhibition in a couple of days when there'll be a few more eyeballs available (that are hopefully less wine-soaked!). Good luck with it. 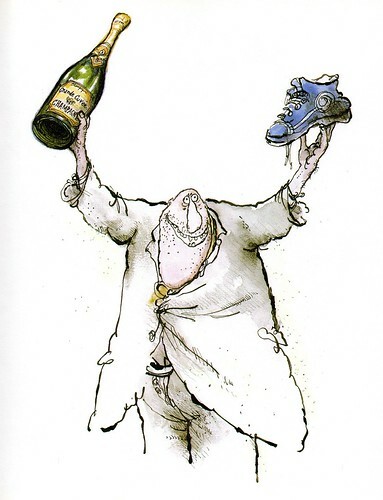 Oh here's a clickable link to the *Searle inAmerica* overview post. Thanks for the link! Just noticed the unfortunate auto-correct on 'assembled' in my comment- wine-soaked indeed!